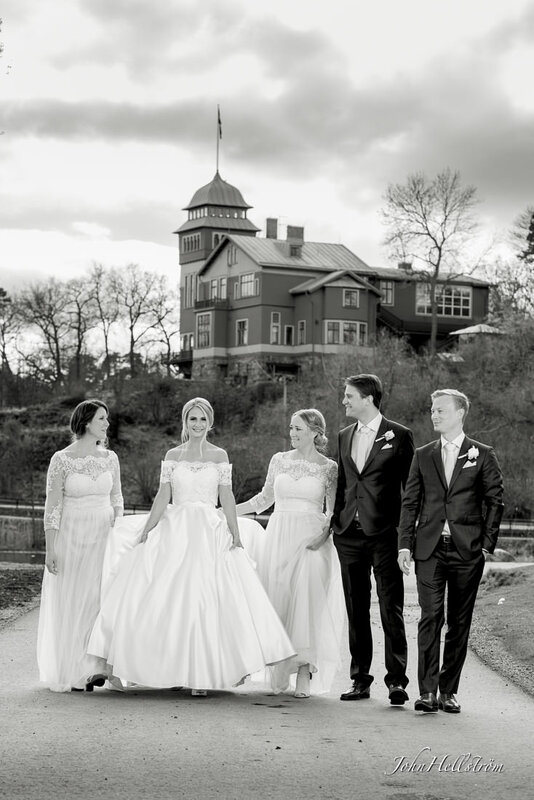 Susanna and Don got married at Grand Hotel Saltsjöbaden in the wonderful Stockholm archipelago. I had the honor to be their wedding photographer. In the morning, we had both rain and hail. Luckily the weather got better when we went out and photographed after the ceremony. I have previously made a secret shooting for the national television at Grand Hotel, and therefore knew how nice it is there by the sea. 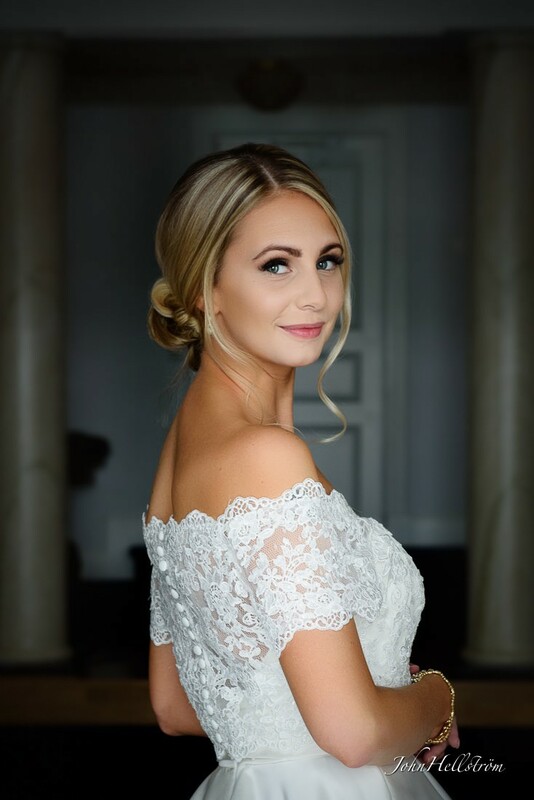 It was a wonderful day for the wedding couple! 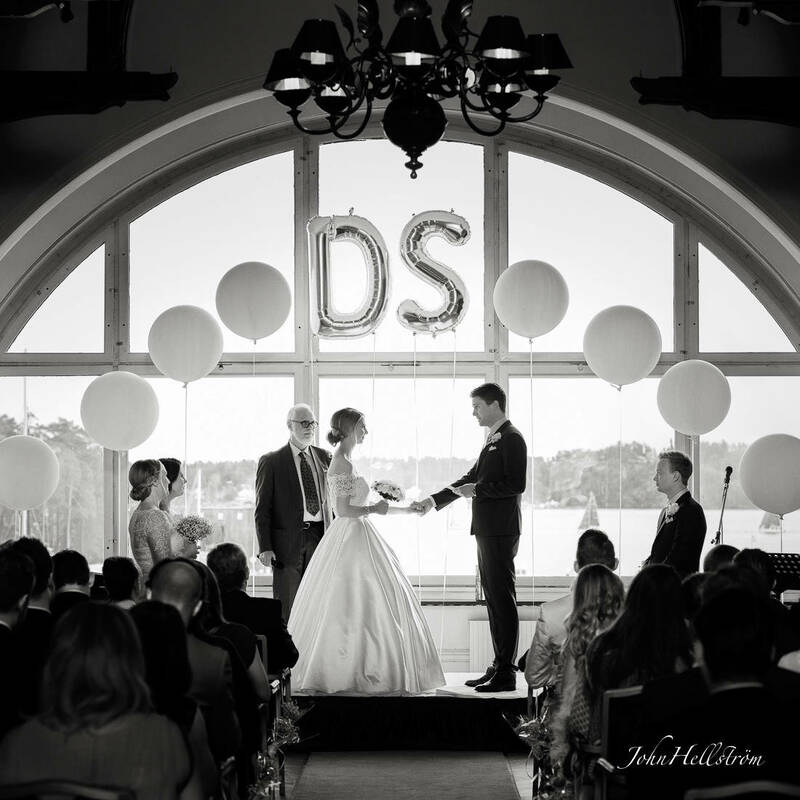 Wedding ceremony in the largest ball room at Grand Hotel Saltsjobaden, with the archipelago in the background. The wedding couple together with bridesmaids and groomsman.